Archbishop Pietro Parolin, the longtime veteran of the Secretariat of State of the Holy See, and a skilled and veteran diplomat in his current role as the Apostolic Nuncio to Venezuela, as the trusted aide to Pope Benedict XVI (now Pope Emeritus), had been appointed on Saturday, 31 August 2013 as the new Secretary of State, the top position of the Roman Curia, the governing body of the Church. 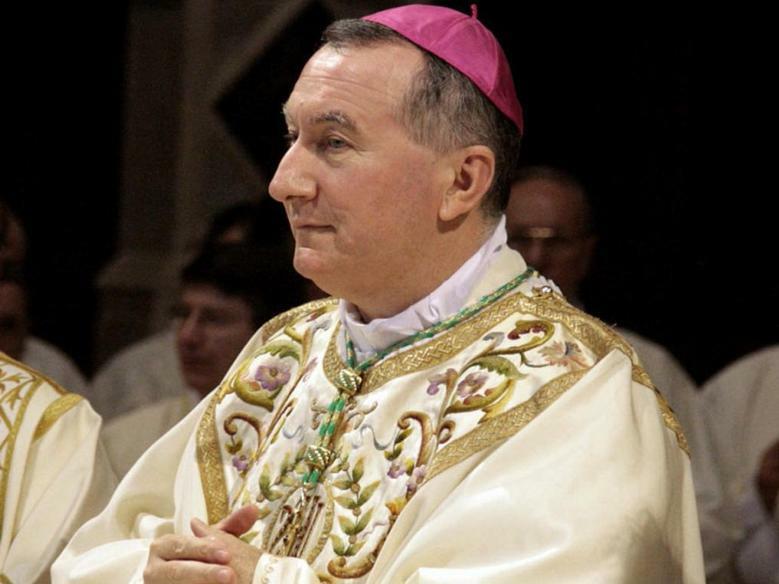 In addition, as positions tied to the post of Secretary of State, Archbishop Parolin also automatically become the new President of Interdicasterial Commission on Particular Churches (which task is managing the Eastern Catholic Churches), President of Interdicasterial Commission for the Church in Eastern Europe, and the Protector of Pontifical Ecclesiastical Academy. Archbishop Pietro Parolin will replace the outgoing Cardinal Secretary of State, Cardinal Tarcisio Bertone, S.D.B., who is also the Chamberlain (Camerlengo) of the Church, effective on 15 October 2013 as per the decree of Pope Francis released today. 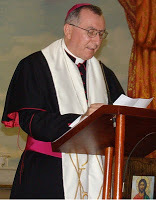 Cardinal Tarcisio Bertone is then the Secretary of State Emeritus effective on the state mentioned in the paragraph above (15 October), when Archbishop Pietro Parolin officially takes over as the new Secretary of State. 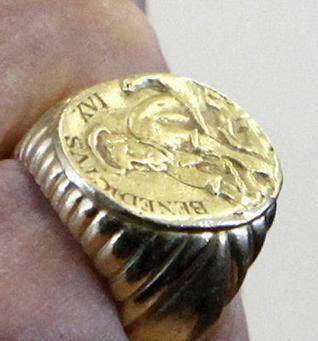 The position of the Secretary of State is the top in the Roman Curia, below only the Pope in the hierarchy of the Church. 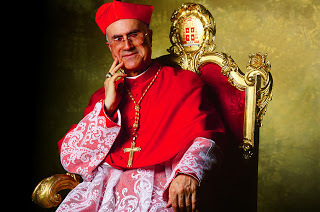 Cardinal Bertone will however remain as the Camerlengo of the Church. We thank Cardinal Bertone for all his hard work and contributions to the Church, many of which were unknown to many, and all the labours he had done in great humility and dedication in his position as the servant of the Holy Church. As the Secretary of State position is the top official post of the entire Church and the Roman Curia save for the Pope himself, it is expected that the 58 years old Archbishop Pietro Parolin will be made a Cardinal in the next Consistory of Cardinals (possibly early 2014 or late 2014). Cardinal Medardo Joseph Mazombwe, Cardinal Priest of S. Emerenziana a Tor Fiorenze has passed away on Thursday, 29 August 2013 at the age of 81. 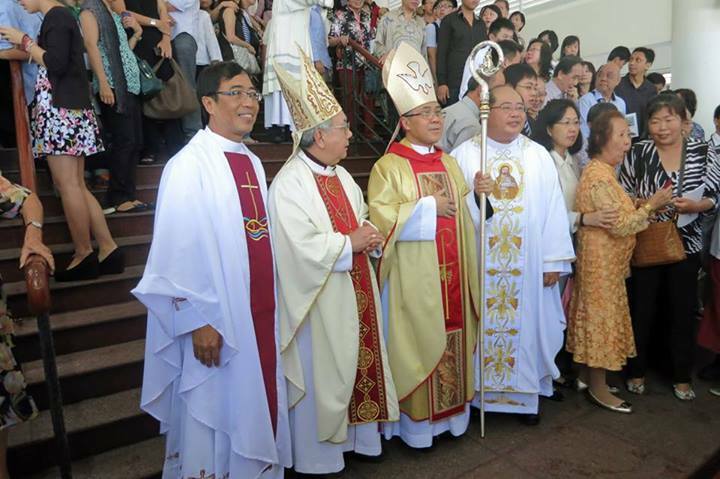 He was the Metropolitan Archbishop Emeritus of Lusaka in Zambia. 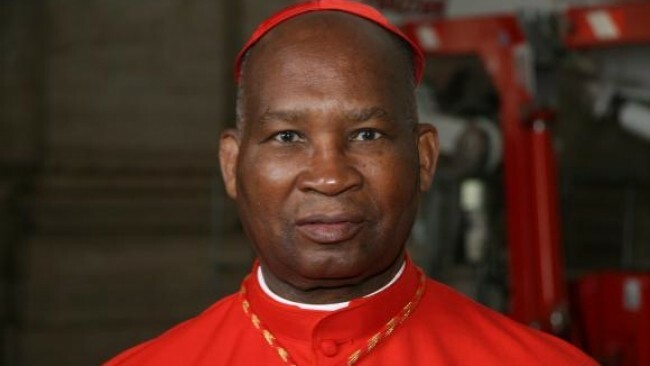 Cardinal Mazombwe was created Cardinal in 2010 by Pope Benedict XVI and he was a longtime bishop of Chipata since 1970 until he was made the Metropolitan Archbishop of Lusaka, Zambia in 1996. Cardinal Mazombwe retired in 2006, and was also for a few years the President of the Zambia Episcopal Conference. We pray for Cardinal Mazombwe, that he will rest in peace, and God will reward him for all his hard work as the shepherd of the people of God in Lusaka and in Zambia as a whole and his numerous other contributions to the Universal Church and for the Lord’s sake. May the Lord welcome him into His embrace in heaven and give him eternal rest and happiness that he deserved. 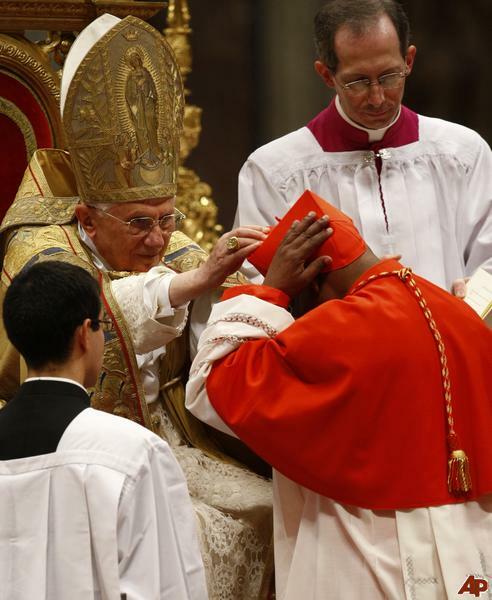 With the passing of Cardinal Mazombwe, the College of Cardinals now stands at 201 members, with 112 Cardinal-electors and 89 Cardinal non-electors. Dear brothers and sisters in Christ, today Christ taught us the value of humility, of doing things in humility, and seeking not human glory in all our dealings. The prophet Sirach in the first reading today also put the emphasis on the relations between greatness and humility, that the greater someone is, the more that he or she should be humble, and to seek not things that lie beyond our capabilities and our reach. Brethren, too many times have we heard about mankind trying to reach things beyond what they can do, that they became too absorbed in that pursuit and forget about anything else. It is very often that we even sacrificed much in order to get to that destination, to that desire that we seek to achieve. More often than not, this involved sacrificing even those dear to us. What makes mankind so desperate for such aims and targets that they devote so much for them? That is because we often become immersed in our pride and in our desire, so much that we simply cannot let go when things do not go the way we wanted it. We always want to be the first in everything, the first in getting new items from the store, the first in our academic, economic, and other performances, that we fear so much from losing out to another people. In our deep pride, we cannot bear to lose to another person, because to us, there is often no consideration for being the second place. It is in our human nature that we want to be preeminent, and first in all things, and that is our pride, that we ought to stand alone at the top without rivals. Yet remember, brothers and sisters, it is exactly the same sin that had brought down the greatest angel and the mightiest angel of all the angelic host of heaven. Who is that? Precisely, it is Lucifer, the false lightbringer, now known as Satan, the evil one, the devil, the deceiver, and the great enemy. Lucifer was created as the most brilliant of all of God’s angels, the most perfect and beautiful of all God’s angels. It was told that he was created with twelve wings of a seraph, with incredibly bright light illuminating his figure, and hence his name, Lucifer, the lightbringer and the morning star. To him had been given power, glory, and might in addition to his beauty and wonder, by the Lord the Creator of all. Yet, in his heart, due to his seemingly perfect beauty, power, and glory, he began to form dissensions and dissatisfactions with being a servant of God, and instead, in his great pride, he wanted to rise above all things, and take over the throne of God, as the ruler of all the creation and over all of heaven, as written in the Book of the prophet Isaiah. That he will raise his throne above the stars of heaven and ascend to the heights of heaven, seated on the throne of God, such are the things in his heart, the schemes that he plotted against God. And yet, he failed. In his great pride he had sought to be like the proud guest who seek to reach the first place in the banquet, and he failed, badly. He was struck down and cast down from the heavens, as we read in the Book of the Revelation, when the Archangel Michael and the angels of heaven fought with the dragon, that is Lucifer, and defeated him with the power of God, and cast him away from heaven. The Book of the prophet Isaiah continued with the lamentation on the fate of Lucifer, as the fallen morning star, that had fallen and would never rise again as he had once boasted. Indeed, as Christ had said to the Pharisees in the feast, that the one who seek to be the first will be made last, and will be relegated to the last position in great shame and humiliation. Truly, Lucifer, once the brightest, most brilliant, and mightiest angel of heaven, is now a shadow of his former self, known to us as the great enemy and the evil one, twisted, broken, and marred in his beauty, all because of his pride and lack of humility before God. On the other hand, the Archangel Michael, whom we know as the chief of the angelic host and the leader of the angels of God, is made such not because of his pride, his power, or his might. Instead, the Archangel Michael was known for his great humility and obedience to the will of God, and it was indeed told that he always trembled before the presence of the Lord. That humility made the Lord to choose him as the leader of His angelic host, in the same way as the humble guest who seek the worst and last seat, is invited by the host to a position of honour. After quoting the example of the archangels, of Lucifer and Michael and the comparison between them, and how it relates to the lessons we learn today from our readings and the Lord Himself, of the importance of humility in our lives, let us take some time to reflect on our own lives, whether we have always let our pride get in our way, and whether we have let our pride to take over us, as it had done to Lucifer. To be humble is not easy, as temptations will certainly be great. We tend to compete with one another, not least in this increasingly more fast-moving and competitive world, where everyone’s success in life is measured by their achievements and by the things that they are able to do better than others, fueling even more and more competition in a vicious cycle, that if not controlled may result in excessive competition and everyone sought to overcome one another, at the expense of others as best as possible. Yet, the Lord challenged us today to be different, to dare to be different from others, to be humble in our increasingly prideful world, in a world where people increasingly care less about one another, in a world where everyone vies to be the first ahead of others, and to achieve things that they are not able to do. The Lord challenged us to know the meaning of humility and the value of satisfaction, of knowing that we truly have enough in our lives, that all that we need have truly been taken care of by the Lord our God in various ways. Christ had taught us the meaning of humility, and also teach us love, how to love one another, and how to love God. He has shown us all that through His own actions, that He, who is God, and who is divine and all-powerful, is willing to take the last seat of all, the most humiliating seat of all, to be born into a poor family of a carpenter and born in a dirty stable, even though He is indeed a King, King of all kings no less, the Master of all the Universe. It does not just stop at that, as He lived humbly and did not seek glory for Himself. Many times the people who were amazed at His miracles and powers sought to force Him and to make Him their king, as the king of a renewed Israel, and yet, Jesus walked away from all that, and not only that, He even willingly walked towards His own death. Yes, brethren, in His great humility, He who is God, let Himself be captured, tortured, mocked and spat at. 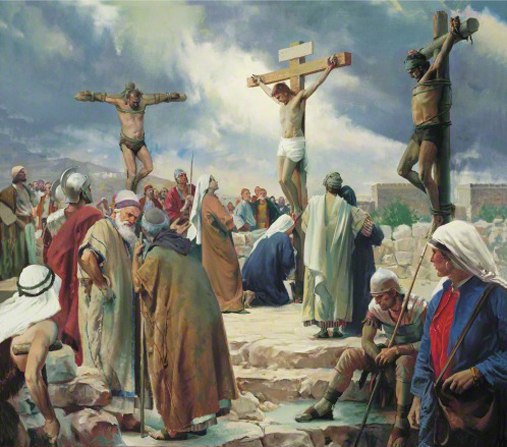 He was given many lashes and eventually after carrying His own cross, was nailed to that cross on Calvary. Such is His great humility that He endured all sufferings intended for us, and took them all upon Himself. His wounds marked all the sufferings He had to suffer in our place, that we may live. He died, and died a humiliating death, a criminal’s death on the cross. And yet? He who has died for all of us has risen from the dead! He has triumphed and conquered over the prideful one, Satan, the old Lucifer, whose pride had brought him from glory to humiliation. Christ had risen to His glory and made the greatest and most prominent of all. The Lord Himself had proven His own words today through His own actions, which He made out of pure love for all of us, that we all may live, that He had humbled Himself to die a humiliating death, despite being the Master of all, for our sake. Therefore, brothers and sisters in Christ, inspired by the very example of our Lord Jesus, let us today heed His call, that we be humble in all our words, in all our deeds, and in all our actions. Let us be humble in all our dealings with one another, caring and loving for one another, just as the Lord had commanded us. Let us be truly brothers and sisters to one another, and do not seek the downfall of others or the failure of others for our own success. Let us throw away our pride and don humility instead, just as our Lord Himself had once done for us. May the Lord continue to watch over us, protect us, and bless us, and that may He remind us at all times that we ought to be humble and loving in all our actions, and in all our dealings to our brethren, remembering the very life He had given us, through His own humble death. God bless us all, forever and ever. Amen. What you have come to is nothing known to the senses : nor heat of a blazing fire, darkness and gloom and storms, blasts of trumpets or such a voice that the people pleaded that no further word be spoken. But You came near to Mount Zion, to the city of the living God, to the heavenly Jerusalem with its innumerable angels. You have come to the solemn feast, the assembly of the firstborn of God, whose names are written in heaven. There is God, Judge of all, with the spirits of the upright brought to perfection. There is Jesus, the Mediator of the new covenant. But let the righteous be glad and exult before God; let them sing to God and shout for joy. Sing to God, open the way to Him who rides upon the clouds. Father of orphans and protector of widows – such is our God in His holy dwelling. He gives shelter to the homeless, sets the prisoners free. Then You gave a rain of blessings to comfort Your weary children. Your people found a dwelling and in Your mercy, o God, You provided for the needy. The greater you are, the more you should humble yourself and thus you will find favour with God. For great is the power of the Lord and it is the humble who give Him glory. Do not seek what is beyond your powers nor search into what is beyond your ability. As water extinguishes the burning flames, almsgiving obtains pardon for sins. The man who responds by doing good prepares for the future, at the moment of his downfall he will find support.